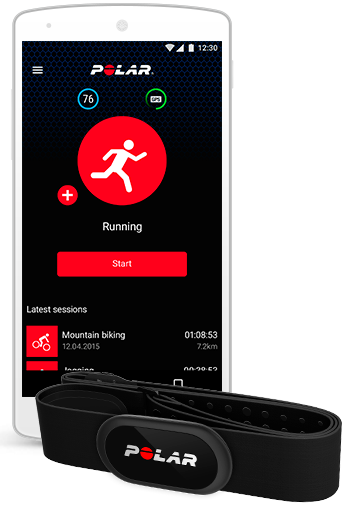 Polar Beat is the best app for real-time heart rate monitoring. Want to burn calories? Beat your distance record? Choose a training target and let Polar Beat guide you. Choose your favorite activity from 100+ sport profiles and get real-time voice guidance while you train. Track your distance and map your route with GPS. Did your workout burn fat, increase strength or improve endurance? Analyse the effect of your training with Polar Beat. Get a quick overview or go in-depth in the free Polar Flow web service. Share your training with friends, challenge them to beat your record or just spread the good vibes after an awesome workout. Hook up a Polar heart rate sensor to Polar Beat and get real-time accurate heart rate to your phone. Heart rate based training allows you to train at the right intensity, avoid under and overtraining and reach your goals faster. Choose the sensor that fits you best: the Polar H10 heart rate sensor chest strap for supreme accuracy or the Polar OH1 optical heart rate sensor armband for simplicity and comfort. Do you prefer working out without your phone? Use Polar H10 to track your heart rate during your session and transfer your heart rate data to Polar Beat afterwards. Find out how fit you are with Polar Beat’s easy, five-minute Fitness Test – just use the Polar H10 and relax. Done regularly, the Fitness Test is a great way to see your progress and get motivated. Are you burning fat or improving your fitness? With the EnergyPointer, you can see the main effect of your training in real-time and adjust your training to reach your goals. 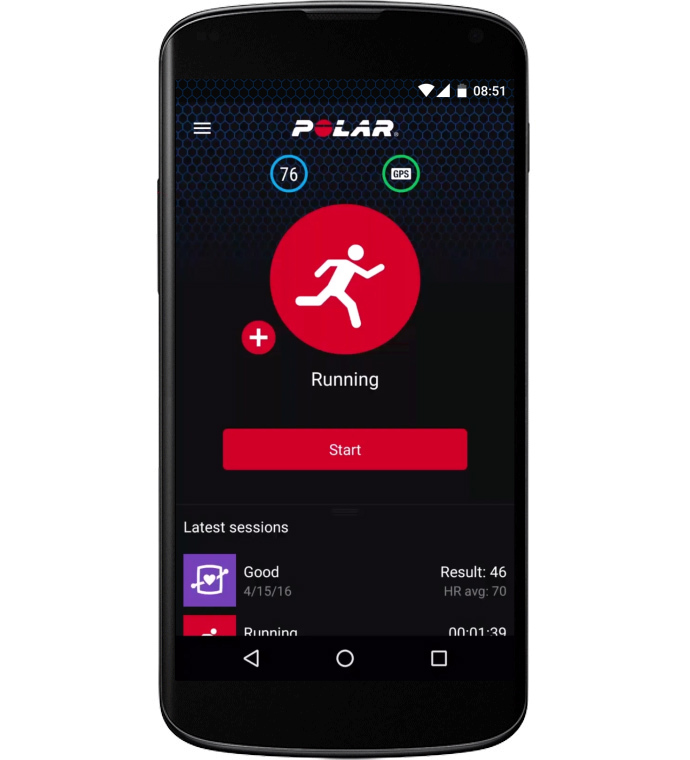 Set specific training targets – like boosting recovery or improving endurance – and let Polar Beat guide you through the exercise. See your progress with the Running Index – a score that tells you how efficient your running is. *Unlock premium features by purchasing Polar OH1 or Polar H10 heart rate sensor. When you create a free Polar account on Polar Beat you automatically get access to Polar Flow, a comprehensive web service for anyone interested in their overall health and activity. Plan your training sessions and set targets. Track your training on Polar Beat and analyse your overall fitness and health in Polar Flow. Draw motivation from tracking your long-term progress. See an advanced analysis of your achievements with graphs and statistics. 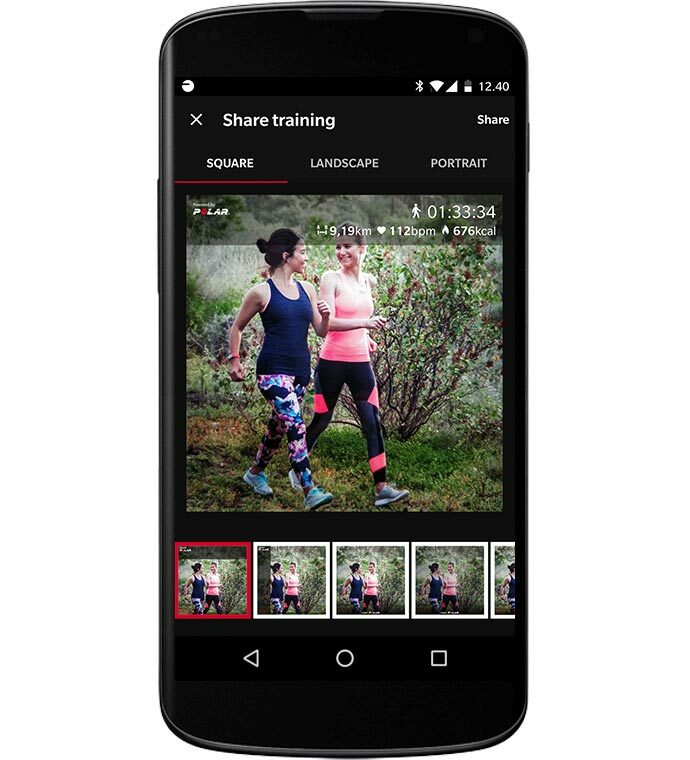 Share your training with friends – or the whole world. Explore what other users have been doing and where. Polar Beat is now more beautiful than ever. Starting a training session is easy and fast – so that nothing stands between you and your goals. Sign in to your Polar account and get access to over a hundred different sport profiles. Track your training whether it's running, cycling or, for example, indoor climbing. 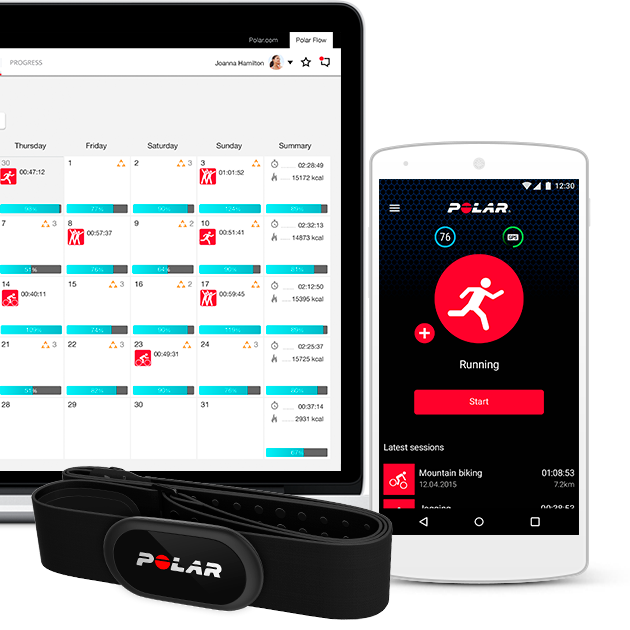 When you sign in to your Polar account, your training data is synced to the cloud. If you switch devices, your Polar Beat training data and history is synced back to your new phone. Take your training to the next level with these Polar accessories and services.